Patterns, patterns, patterns. They are everywhere, aren’t they ? Be it your new mobile case cover, the gorgeous bed spread on your bed, your pretty new dress .. the list is quite never ending. When you look at them, you go, “Wow ! I wish I could do something like that!” and then you wonder how the artist/designer came up with the idea to make that pattern. Getting an idea to make a pattern or a collection of patterns can be difficult. It involves a lot of hard work, but the entire process is really interesting and fun and also, the end result makes it all worthwhile. Just imagine your happiness when you see someone using a mobile phone case with your pattern on it. So here are a few tips that will help you to finding inspiration to developing your own pattern/collection of patterns. First things first, step away from your computer. You are not going to find inspiration by staring at the screen of your laptop. Take a walk. Observe the little things around you. The trees, the weather, people, animals, etc..Take pictures and note down whatever looks interesting. Somewhere, you will find the spark that will give you the idea for your next pattern. Observation is one of the best super powers that you should develop. It will help you greatly, not only for developing patterns but for any new creative project that you undertake. You never know when inspiration can strike you. For all you know you may be eating ice cream at your favorite ice cream parlor and the idea to make a pattern of ice creams and popsicles may come into your mind. Or a peek at a fruit store may inspire you to create collection of fruit patterns. As I have said before, inspiration can come from anywhere, anytime. 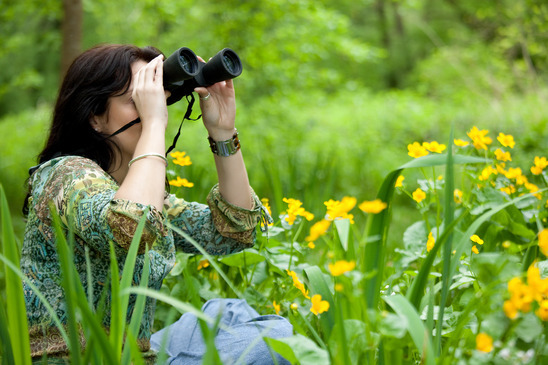 What observation can help you with; Developing patterns based on the little things around you. With information on design and fashion trends, Patternbank is a great place to start your research. Yes, you can stare at your laptop now. And get some books on textiles, design history; whatever you can lay your hands on. Now get to doing a lot of research. Look at the works of the many artists/designers. Check out the works of textile/fashion designers. Study the cultures of different countries. Go through history; find out how people conceived patterns before the birth of the technology age. See what inspires the designers of today and study their processes and methods of developing patterns. Go through various design blogs and websites for ideas. Look out for the trends going on at the moment. Doing a lot of this research does sound taxing, but arming yourself with this knowledge will be essential when you start making your own pattern collections. You don’t have to be Picasso or Da Vinci to draw. Grab some paper, sit in a quiet place (if needed put on some music) and start drawing away! Keep doodling whatever comes to your mind. Draw some leaves. And maybe a few monsters. Draw some lines and squiggles. Draw anything you want. But just keep drawing. Drawing is one of the best ways by which you can capture your ideas. Reserve a few days in the week wherein you don’t touch your laptop at all and all you do is draw and draw. Also keep saving all your sketches in a folder, so that some day they can be a handy reference for you when you need a quick idea for a pattern project, or for that matter, any creative project. Mind mapping is another great technique to come up with an idea for a pattern, or more so, for a collection of patterns. To better understand this concept, here’s an example of what a mind map is along with an illustration on how it looks. So let’s say you got this idea of making some patterns based on the season of Summer. Write the word summer out big and bold, and then find words and phrases that are related to the summer. For example, summer can mean sun, beaches, ice creams, juices etc. Just keep writing down words, keep making connections and you can see the ideas slowly starting to form. Another way to gather ideas is to brainstorm. Take a notebook and write down whatever comes into your mind at the moment. It can be anything; sensible or no. It can be about monsters or cartoons or about tattoos. Just put down all the thoughts that you have. This idea of making note of anything that comes to your mind can be a massive idea bank for yourself. With this idea bank you will be able to develop a theme for a collection of patterns. 5. Construct your own inspiration journal/gallery. Carry a small notebook/sketch book with you whenever you go somewhere. Jot down points that strike you at the moment so that you don’t forget them. Sketch whatever seems seems interesting around you. This will help you to develop your ideas once you seriously start working on a project. Make color palettes and swatches. Keep jotting down ideas, make collages, sketch, collect articles that you read in papers and magazines; in short make a handy journal so that it comes to your aid whenever you need it. There are plenty of websites online that help you store your inspirations. Pinterest is the best of the lot. It allows you to create your own pin board in which you can add the images you find inspiring. You can create an unlimited number of boards and pin/add any number of images you need. These days, Pinterest is the go to website for many artists/designers who are on the lookout for inspiration for a new project. An example of one of my many boards on Pinterest. This board became my source of inspiration for the development of an Indian Tribal Pattern collection which can be viewed on the site. There are many ways to finding inspiration to create patterns. The ideas listed here are something that I have followed when I started creating patterns. Some of you may find other ways to get inspiration; well, that’s okay, since there is no written rule on how you should go about the process of developing patterns. I hope you have fun when finding inspiration and developing your own patterns. Happy patterning !